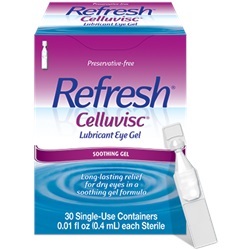 Refresh Celluvisc is sterile lubricating eye gel-like drops using Carboxymethylcellulose Sodium 1%, in single 0.4ml droperette vials. Preservative free. NDC: 00023-4554-30. Manufacturer: Allergan. 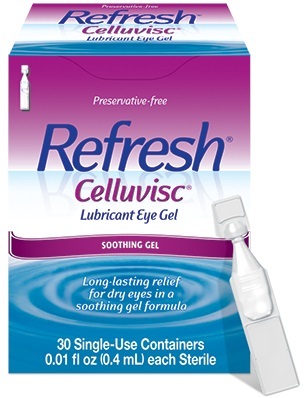 Comes 30 dropper vials per box.